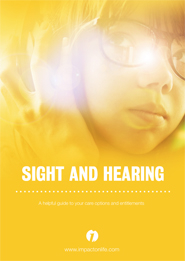 A helpful and informative publication which gives advice on opticians, sight tests, dealing with serious eye problems, eye care for children, the over 50’s and disabled patients, common hearing and ear problems, hearing tests, deafness, independent living for the deaf or those with impaired hearing, it also gives information on what benefits patients may be entitled to and who to contact with regards to claiming for them, there is also a list of useful contacts and support groups that could be of help. The full range of Health Care Media publication titles are available free of charge for distribution to the public. The literature is currently in demand by doctors surgeries, citizens advice centres and hospitals. The publications are financed through the inclusion of relevant local advertising beneficial to the reader.